If you are concerned about protecting your property during a divorce or separation, experienced advice from Raleigh equitable distribution lawyers [firm-name] can help. We can educate you about the law and aggressively represent you. Call us at 919-833-1040. 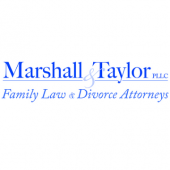 Property division between divorcing or separating spouses can become very complicated. If you need assistance making sure your rights are protected, contact Raleigh equitable distribution of property attorneys [firm-name] at 919-833-1040.